An introduction to computer science with a primary emphasis on software development, taught by Derek Owens and Tom Robinson. Basic computer skills. Students should have a basic knowledge of everyday use of a computer before beginning this class, including a basic working knowledge of the following terms and concepts: text file, hard drive, RAM, directory or folder, subdirectory, copying files. Algebra 1, recommended but not strictly required. Students should understand the mathematical concepts of variables, expressions, and functions. These ideas are routinely used in computer programming. Students will need to bring a laptop to class on most days. Students will need a computer at home with an internet connection. No textbook will be required for this class. Students will be accessing various resources online and materials will be provided in print and online for the students to study. 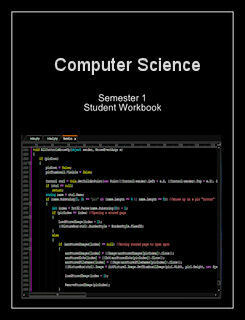 This is a full year course in computer science with the main emphasis being on writing software. This class will be offered at two levels, Regular and Honors, and in doing so is expected to accommodate a fairly broad range of student ability. Substantially more will be expected of the Honors students. Students may enroll without knowing whether they wish to take the Regular or the Honors version of the course, and may decide as the course progresses and may switch during the course if needed. Students will be given specific assignments to complete each week. Assignments will be graded and parents will be kept informed with regular progress reports. To maximize instructional time in class, tests will be given at home. One final exam for each semester will be taken in class at the end of each semester. Students will receive a numerical grade for each semester and for the year. The grade is calculated based on tests, graded homework and the final exams. Mr. Owens has enjoyed computers and programming his entire life. During high school he learned Z-80 assembly language on his TRS-80 computer and studied AP Computer Science the first year it was offered by the College Board in 1984. He studied FORTRAN in engineering school in the late 1980's. He spent two years teaching AP Computer Science in C++ at The Westminster Schools in Atlanta, and spent two years at the graduate school at Mercer University studying C++ and Java. He worked as a web developer and Linux system adminstrator during the internet boom at the turn of the century, and then spent five years working as a software consultant, developing financial software and data management applications for banks and large businesses. Mr. Owens currently enjoys creating and maintaining the software that helps operate his small business, and also maintains the website for his business and the website for the LAC homeschool group. 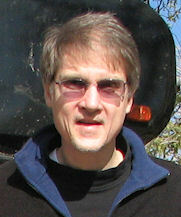 Mr. Robinson graduated from Michigan State University in 1985 with an Electrical Engineering / Computer Engineering degree. At MSU, he played football for four years and was recognized with the Potsy Ross Award for leadership scholastically and athletically. 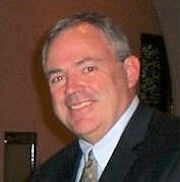 Mr. Robinson has over 25 years of business and technology experience with leading companies including IBM, Gartner, and Computer Associates. He and his wife successfully home schooled their three daughters, who all attended college on soccer and academic scholarships, and who have now graduated and are pursuing careers in physical therapy, accounting, and nursing. Mr. Robinson will apply his passion for teaching Math and Computer Science using Derek Owens' curriculum.